The well known essential ingredient in many dishes and of course Sage and Onion stuffing. In early to mid-summer spikes of lilac-blue flowers appear above aromatic grey-green leaves. 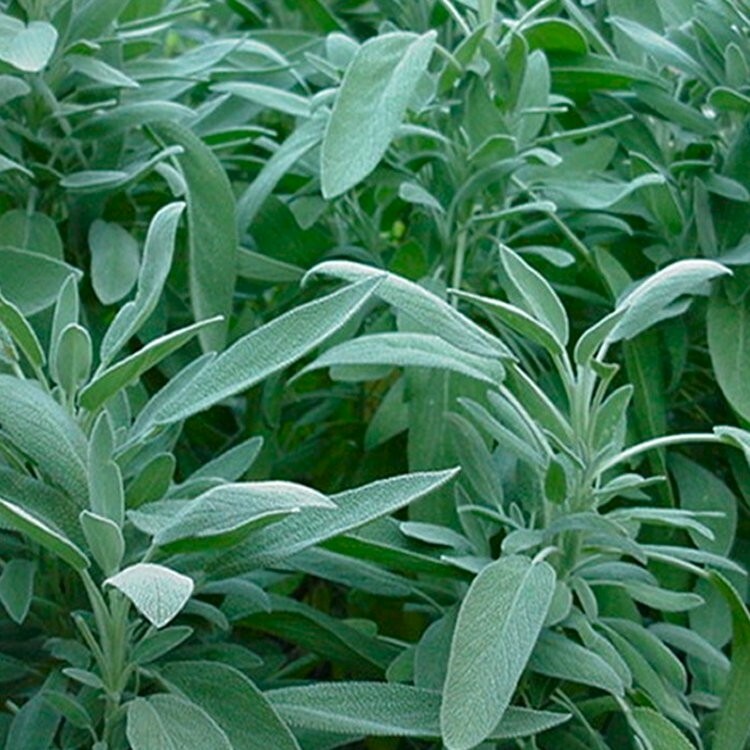 The handsome foliage of the Sage plant will make a fabulous and robust edge for a sunny herb garden or mini potager. It also combines well with other herbs to grow and keep in a planter with in handy reach of the kitchen door. The leaves are best when collected before the plant has flowered and become too woody. Freshly chopped, why not try them in stews, with roasted meats, or for flavouring stuffings, aromatic herbal teas and in herb butter. It's also worth harvesting and freezing leaves for convenient use in the winter months when you might not want to venture in to the garden to gather fresh. Lovely bushy plants supplied in approx 1 litre containers.